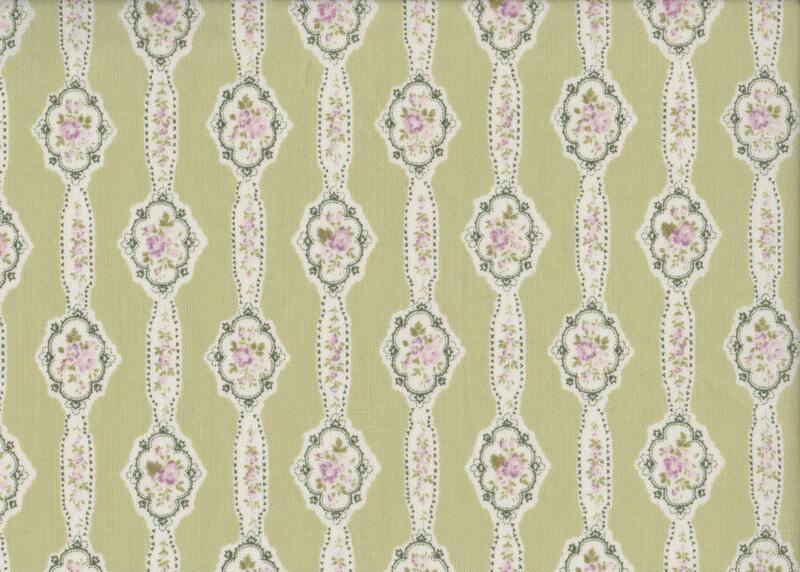 We are listing for sale a fat quarter by Yuwa: Floral garlands in soft green. This is a beautiful stripe fabric which coordinates with other fabrics from the Yuwa Live Life collection. It is a lovely 100% cotton quality quilting fabric. It is also available in red, grey and lavender.